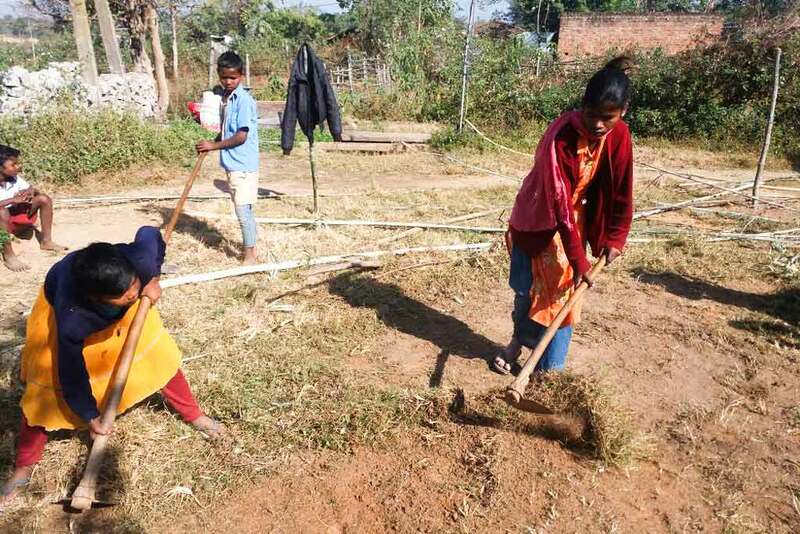 Villagers across all age brackets got together in Devgain, Jharkhand to work on their kitchen gardens. In terms of daily life, people in all of our villages are now growing kitchen gardens to address their nutritional needs. This ensures they have healthy vegetables that they are able to afford. 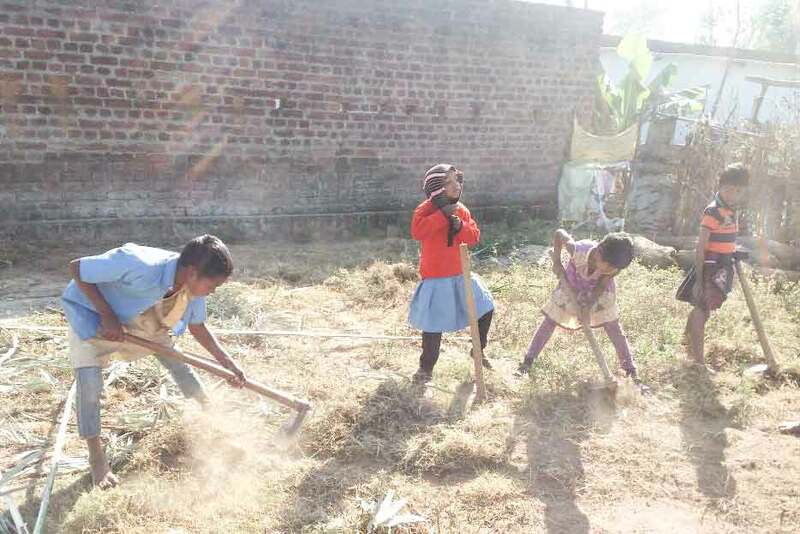 For many years, the backyard spaces were used to grow vegetables only during monsoon and the rest of the year they were not used. But now with the effort of the Amrita SeRVe Fellows and Health Workers, people are starting to grow vegetables during other seasons. Those who already had kitchen gardens are expanding. Those who did not have been inspired to start. By habit, that low income farmer used to have to purchase cheap vegetables in the market, irrespective of nutritional value. Now they are getting fresh, non-chemical produce and they are saving money.